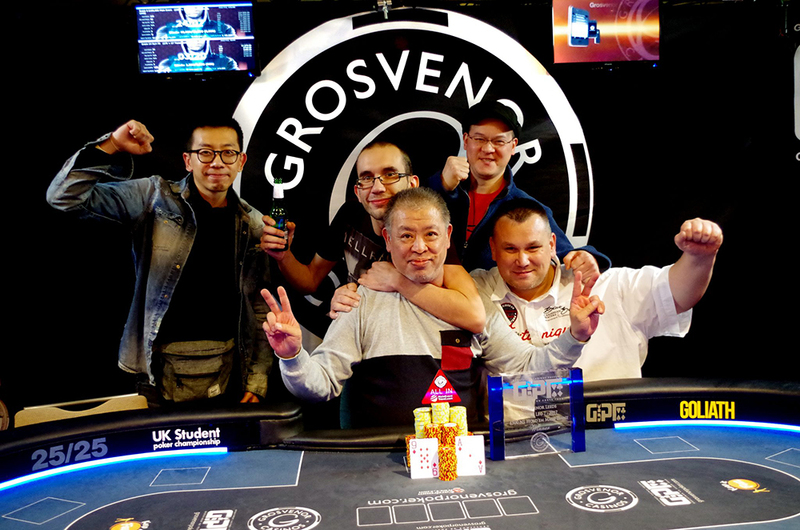 Local player Leung Cheung has won a record-breaking GUKPT in Leeds for £37,900. There were a massive 308 entries making Leg 7 of this year’s GUKPT tour the biggest £500 £500 event outside of London. The prize pool totaled £154,000. The next GUKPT is GUKPT Luton from October 8 – 15 so bag your accommodation early! We are the tour’s Official Travel Partner and can help you find great hotels near the tournament venue. Cheung is a local player who had already made the final of two side events at GUKPT Leeds before capturing the Main Event title. Renee Xie came close to becoming the first female winner of a GUKPT and secured £33,000 for her runner-up finish. Grosvenor Ambassador Will Kassouf came close to making the final of the event but eliminated by Ken Lockey after his pocket fours failed to improve against Ken Lockey’s KK. He finished 10th for £2,450. Fellow Ambassador Jeff Kimber bust in 21st place for £1,250. GUKPT Passport winner Andy Hills made the final of the event, finishing in ninth place for £2,950. Two-time GUKPT champion Ali Mallu was 27th for £1,100. It’s now less than a month until Leg 8 of the 2017 GUKPT tour in Luton – which features a £200k Main Event plus a bunch of side events.